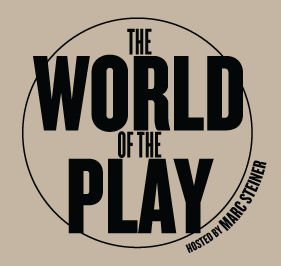 Hear our broadcast of the most recent World of the Play event at Everyman Theatre. The topic of the conversation, which took place on Saturday, June 7, was “Finding a Voice.” The discussion was spurred by the current production Tribes, a play centered on a young deaf man’s struggle to be heard in his dysfunctional family. The panelists were: Willy Conley, playwright, actor and former Chairperson of the Theatre Arts Department at Gallaudet University; Tim McCarty, Artistic Director of Quest Visual Theatre; and Cara Miller, LGBTQA Resource Center Coordinator at Gallaudet University. Where is the audio podcast? David: You should be able to listen to the podcast now. Sorry about that!